The Waste Management (End-of-Life Vehicles) Regulations, 2006 came into effect for all end-of-life vehicles from 1st January 2007 and transposed EU Directive 2000/53/EC into Irish Law. The purpose of the Regulations is to ensure that all end-of-life vehicles are de-polluted and dismantled in a manner that will not pose a threat to our environment or to human health. 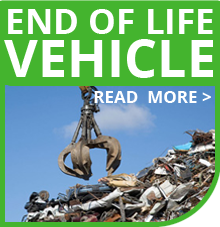 Typically, an end-of-life vehicle (ELV) is a passenger car or a light commercial that has come to the end of its useful life that the registered owner wishes to dispose of as waste. ELV’s can be broken down into two categories, namely, natural and premature ELV’s. A natural ELV is a vehicle that has come to the end of its life due to natural factors. These vehicles are typically over 10 tears old. A premature ELV is a damaged vehicle that is uneconomical to repair. From 1st January 2007 if an owner wishes to dispose of an end-of-life vehicle they must do so with a licensed Authorised Treatment Facility (ATF) such as Kilcock Car Dismantlers. 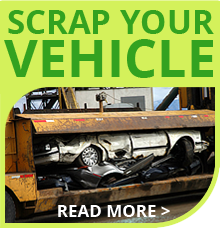 If you are the registered owner of such a vehicle and wish to discard of that vehicle as waste, you are required under Article 35 of the Regulations to deposit that vehicle at an ATF for disposal. An ATF is a facility where the collection, storage and treatment of ELV’s may take place. Authorised Treatment Facilities must operate under a waste license or waste facility permit.